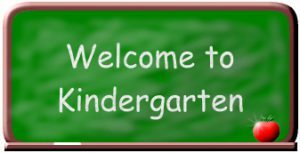 The Welcome to Kindergarten Program brings together families, school, and community agencies to support children as they enter kindergarten. The goal is to share strategies and resources that make early learning through play a priority in the home and support children in a successful transition to school. The “Learning Through Play “ WTK videos offer families lots of ideas to use WTK resources, have fun and make play a priority in every home. Talk Read Sing Play every day!